See Why Fort Lauderdale Brides Book the Top Fort Lauderdale Wedding Photographer at Fort Lauderdale's Top Wedding Photography Studio! 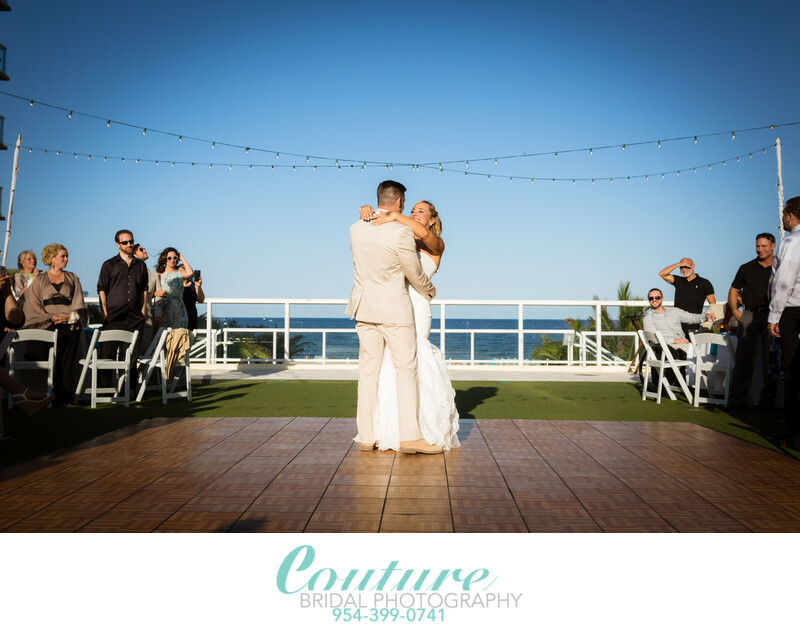 The Top Fort Lauderdale Wedding Photographer can be found at Couture Bridal Photography! Why is Couture Bridal Photography home of the top Fort Lauderdale Wedding Photographer? Couture Bridal Photography is Fort Lauderdale's top rated boutique wedding photography studio and home to the best Fort Lauderdale wedding photographer team serving South Florida and points throughout the world on destination wedding photography assignments. Couture Bridal Photography was formed in 2008 by Alfredo Valentine to offer Fort Lauderdale and surrounding South Florida brides with the highest quality and most affordable wedding photography anywhere in South Florida. Alfredo Valentine, a life long student of photography is now named as one the best wedding photographer based in Fort Lauderdale beach by major photography publications, periodicals and professional organizations. Alfredo is internationally recognized as the top rated and experienced Fort Lauderdale wedding photographer offering the most artistic wedding photography often described as elegant, romantic, and timeless. Alfredo Valentine has received specialized training from the worlds top 5 wedding photographers in the world and is considered to be a master wedding photographer, as well as the only wedding photographer in South Florida to receive training and practical application of advanced photography techniques from Jerry Ghionis, Yervant, Roberto Valenzuela, and Joe Buissink, as a student and assistant. Alfredo Valentine with his 25 years of photography training and 10 years of specialized training in wedding photography from the worlds top wedding photographer has created a unique and proprietary wedding photography style brides around the world prefer over any other that combines photojournalism (Documentary), Fashion, Glamour, illustrative and editorial photography to capture every detail, emotion and treasured moment of a couples wedding day. No other wedding photographer in Fort Lauderdale has more training, more experience or a specific style of wedding photography to create a wedding day story told with powerful, compelling, aesthetically pleasing and artistic wedding pictures specifically captured to become treasured heirloom images. How many wedding photographers make up Couture Bridal Photography? Couture Bridal Photography began as just Alfredo Valentine, as the sole photographer, but has discovered and made part of the Couture Bridal Photography team an amazing wedding photographer, who's style is comparable and complimentary to the Couture Bridal Photography style of wedding photography. Giovanni Gutierrez has joined the Couture Bridal Photography team and offers a style of wedding photography and commitment to creating the most artistic wedding photography that meets the same high standards brides from around the world expect from the Couture Bridal Photography brand. Giovanni an accomplished photographic artist is now known as Fort Lauderdale Florida best wedding photographer and is now highly rated internationally as a leading Fort Lauderdale wedding Photographer. Giovanni works independently with a wedding photography assistant, who also is a competent 2nd wedding photographer working to become a lead wedding photographer for Couture Bridal Photography in the very near future. Giovanni is available for destination wedding photography assignments worldwide and is a Cuba wedding photography specialist. He is also available for all international wedding photography assignments, as well as throughout the United States and Caribbean based on a clients preferred choice. Is there a stylistic difference between Giovanni and Alfredo, since your both Top Fort Lauderdale Wedding photographers? Alfredo and Giovanni have very similar wedding photography styles and post processing and edit styles that meet the same standards set by Alfredo when founding Couture Bridal Photography as Fort Lauderdale's first and only "Boutique Luxury Wedding Photography Studio". Alfredo Valentine and Giovanni as artists are always looking for ways to push the limits of artistic wedding photography, as well as our equipment to consistently provide each and every couple a unique and individually custom tailored wedding photography and wedding day photography experience. Can I hire Giovanni Gutierrez without Alfredo Valentine because I like his style a little more? Giovanni is available for hire along with his assistant/2nd photographer for weddings anywhere throughout South Florida and destination weddings anywhere in the world. The rate to hire Giovanni is the same as hiring Alfredo and although our styles are extremely similar and complimentary, but as artists do stand alone and individually. Giovanni is a perfect choice if your looking for a top Fort Lauderdale wedding photographer or Alfredo Valentine is already booked on your wedding day. As the "Best Fort Lauderdale Wedding Photographer Team", What is your approach to photographing a wedding day? For starters we are truly professional wedding photographers trained and experienced in capturing moments that take place throughout any wedding day. We have experience capturing christian, catholic, non-denominational, asian, Indian and latin weddings. The most important aspect of being able to capture such a variety of wedding customs and traditions is having extensively studied and immersed ourselves in learning about various cultures. This allows us to blend in to any wedding as your top Fort Lauderdale Wedding Photographer and capture every special moment artistically while maintaining respect and understanding of our couples varied traditions and cultures. Another approach that many other less professional wedding photographers and studios typically do is shoot a wedding from a "Wedding Photography shot list". Giovanni and I do not use a shot list since we are focused on capturing every moment as it occurs as your preferred Fort Lauderdale Wedding Photographer. Using a shot list not only takes our focus off of our couples, but would take the artistry and uniqueness of your specific wedding day and make it the same as the last and so on. We as your chosen Fort Lauderdale Wedding Photographers are dedicated to capturing moments throughout your wedding day in an artistic creative fashion and make each and every wedding picture, an individual work of art. We are your preferred and hired artistic Fort Lauderdale Wedding Photographer and never fail to deliver the elegant, romantic and timeless wedding pictures you commissioned us to capture and known worldwide to deliver. If we hire the top Fort Lauderdale Wedding Photographer, What is included? When you hire either Fort Lauderdale Wedding Photographer, Alfredo or Giovanni for your wedding photography anywhere in Miami, Palm Beach, Fort Lauderdale, the Florida Keys or destinations worldwide you get a complimentary engagement photography session, which is a great way to become comfortable with not only being photographed, but you also get to know your photographer. Engagement Photography sessions with either chosen Fort Lauderdale wedding photographer, also provide you with images for save the dates, invites and decorating elements on wedding day. You also receive your Fort Lauderdale Wedding Photographer of choice for the amount of time you contracted for to capture every detail, emotion and moment of your wedding day. You receive all of your artistically captured and curated wedding pictures personally edited by your preferred Fort Lauderdale Wedding Photographer that is delivered via a password protected online gallery where you can conveniently download all your wedding pictures, along with a custom flash drive. We also include a 15% discount for print purchased made through your personalize online gallery and any GraphiStudio photo books that individually designed by your Fort Lauderdale wedding Photographer and hand made in Arba Italy. If you choose to hire us for destination weddings worldwide, we offer special rates to help our couples offset some of the expense involved with having your preferred Fort Lauderdale wedding photography travel to your wedding. Destination wedding photography with the either Fort Lauderdale Wedding Photographer Alfredo or Giovanni is typically the best decision you can make. All destination wedding photography commissions with your chosen Fort Lauderdale wedding photographer include rehearsal dinner coverage and day after portrait sessions anywhere at your destination to really create impressive powerful and artistic images! How long will it be before my selected Fort Lauderdale Wedding Photographer delivers my wedding pictures? One of the reasons, that your preferred Fort Lauderdale Wedding Photographer either Alfredo or Giovanni only accept limited wedding photography engagements throughout any given year is that we custom edit each and every image taken throughout your wedding day. This process is where we curate the best images captured during your wedding day to provide you with a collection of story telling images that define us from all other wedding photography studios throughout Fort Lauderdale and surrounding south Florida, as well as destinations worldwide. We painstakingly edit each image using the best computers and electronic storage systems to not only deliver the highest quality images possible, but keep your images safe and secure from any electrical, electronic or hardware mishaps. As a professional Fort Lauderdale Wedding Photographer we do not delete memory cards until images are edited and delivered to our clients, and we immediately back up each images to multiple storage devices and the cloud. This process of having multiple backups is a process we adopted to protect your precious wedding pictures as your chosen and preferred Fort Lauderdale Wedding Photographer. Call 954-399-0741 or email Couture Bridal Photography to hire and secure either Alfredo or Giovanni as your personal and professional award winning Fort Lauderdale wedding photographer for your wedding photography anywhere in Fort Lauderdale, surrounding South Florida or any destination in the world. 1/640; f/8.0; ISO 160; 40.0 mm.